Stay connected whether you’re accessing email, making a call or streaming videos. 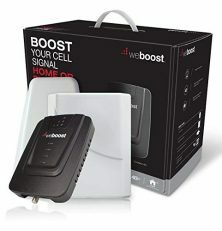 Connect 4G from weBoost gives you the reliable signal you need for uninterrupted connectivity throughout your small home or workplace. Your cellular connection is an essential part of your life. Stop wasting time waiting for videos to buffer or downloads to complete. The Connect 4G can significantly improve your cell signal on all cellular-connected devices and works especially well in modern, energy efficient buildings known to contain materials that weaken cell signals. Connect 4G also features dynamic, self-adjusting gain controls that automatically customize the gain level on each frequency band as conditions require.